The following are the top stories in Wednesday’s newspapers. 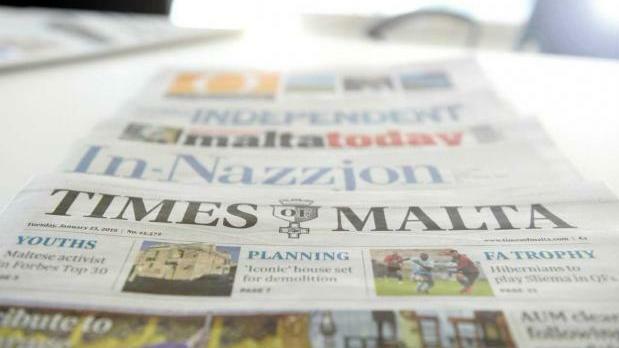 Times of Malta says that according to sources close to the case phone intercepts between the head of the fisheries department and a Spanish tuna rancher linked to a multimillion-euro racket were “just the tip of the iceberg”. In another story, the newspaper says fresh data shows the southern harbour region has the highest number of patients receiving assistance because of mental health problems. MaltaToday also leads with the case of the head of the fisheries department and carries excerpts of tapped conversations. The Malta Independent says Sec revision classes yieled a pass rate lower than 30% in 2018. In-Nazzjon says the government lacks a plan to deal with the problems it created due to an increase in the population. L-Orizzont quotes the Justice Minister telling the European Parliament Malta was willing to continue to improve its judiciary system.